First of all, I just wanted to thank all of you who read one of my latest posts, called All the Things: On Beauty, Buying & Blogging. The response and discussion have been amazing, and I just feel really good that the people who read this blog are super smart and wonderful. 🙂 I’m still a little confused and conflicted about this space, in that I’m not sure how to shape it, but I like that questions are being asked and points are being raised and so on. For the next bit of news… I’ve been holding off announcing this bit of news for a while, but I applied to be part of the next round of the BNT Girls Network and I got in! 🙂 I’m actually joined by two members of the previous batch of which I was also part, namely, Kine and Joanne, as well as two new girls, Doris and Bella. 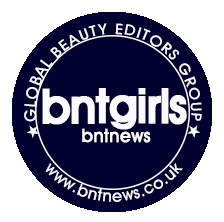 If you’re not familiar, BNT Girls is a Global Beauty Editors Group set up by BNT News, an online news outlet that specializes in Korean news and trends. They have offices in Korea, China, Japan, France, America, Spain, Vietnam, Philippines, Thailand, and the UK. You can check the BNT Girls Facebook group if you want to keep updated with our reviews, or you can also follow this blog if you haven’t! For the next few weeks, I’ll be posting reviews of items I’m testing out as part of BNT Girls. 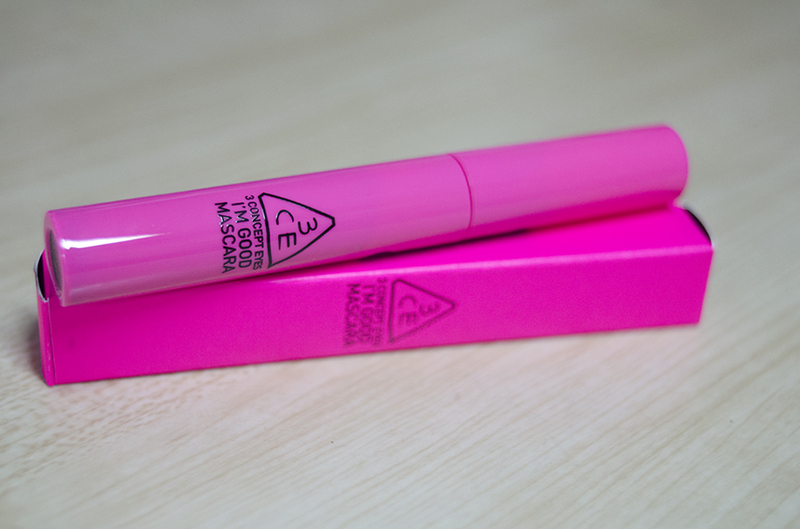 The first item I’ll be reviewing this month is from 3 Concept Eyes or 3CE. 3CE is a cosmetics company under retail brand StyleNanda, and it is one of my favorite Korean brands to date. The style is edgy and fun, quite different from the typically girly style of Korean cosmetics. 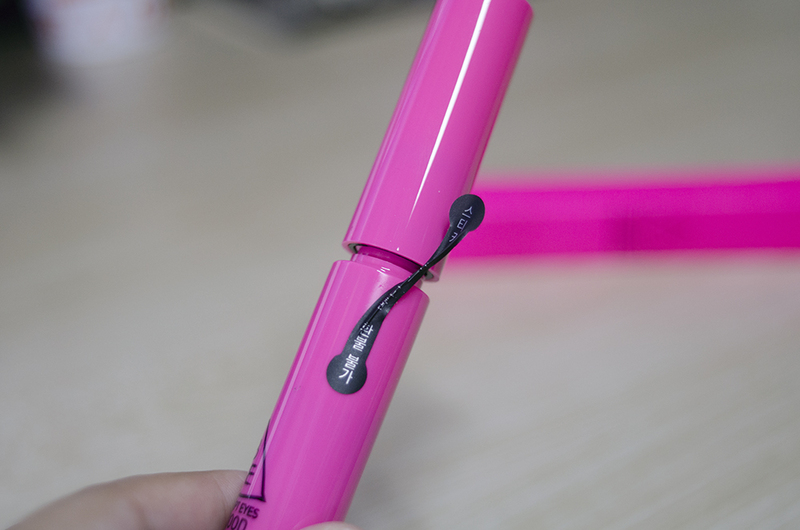 The 3CE x Pink I’m Good Mascara* comes in a fat bright pink tube that reminds me a little of the Fairy Drops packaging, without all the crazy illustrations. It has a skinny wand. I love the packaging, though I think that pink on black would have been such a great look for this mascara! Just saying. Product Description: “Complete doll-eyes Makeup with a single stroke of mascara. Perfect dolly lash mascara for long lashes, curled lashes, and controls smudging from oil and moisture. Minimum C-Curl Brush: smooth lashes all the way down from the roots with the minimum c-curl brush that sticks tight to the lashes for fuller doll-eyelashes. All-Proof Lash Makeup: Triple coated polymer that works against oil and moisture that completes this all-proof mascara for perfect, curled long-lasting lashes. Real Black Long Lash: Lucid, clear well-defined eyes with black liquid naturally extending the eyelashes are still maintained even after re-application without any bundling effect. Like I said, it has a pretty skinny wand with natural (i.e. not plastic) bristles. From my experience, wands like this tend to give a more natural, lengthening look to the eye, as opposed to volumizing the lashes. I have fairly short, stick-straight lashes, so I have a lot of needs from mascara, but I don’t really expect most of them to wow me. 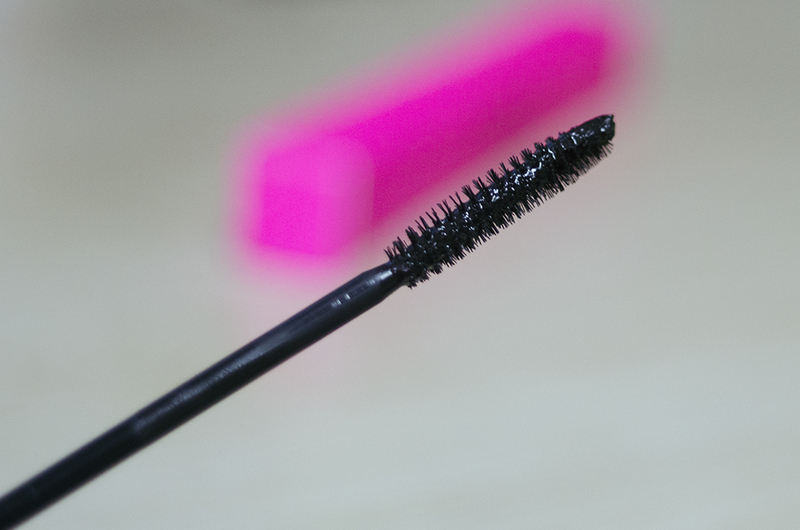 The formula of the 3CE I’m Good Mascara is not dry and not too wet, and it doesn’t have a strong or chemically scent. It’s actually a pretty pleasant, very faint scent… nothing I would have noticed if I didn’t actually smell it. According to the product description, we should be on the lookout for “dolly lashes,” long girly eyelashes that hold a curl. The formula is also “all-proof,” which means it’s water-proof, sweat-proof, oil-proof, and it should be buildable and non-clumpy. The shade, Black, should also be… well, black! My lashes are very stubborn, and as you can see, this mascara is perfect for daily wear, aka not dramatic looks. 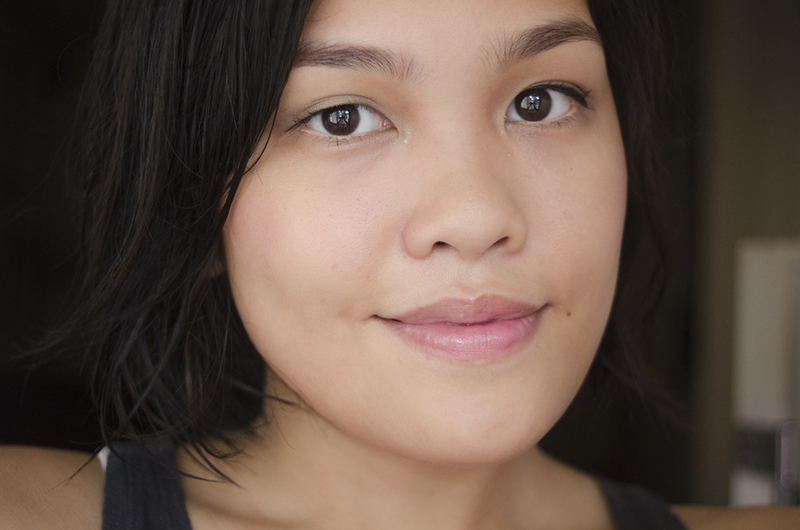 My lashes are well-defined and lengthened. I like how it holds the curl on my left eye (your right), but it doesn’t do much for my right eye’s lashes. The formula doesn’t clump much, but the brush doesn’t seem to separate the lashes well either, so I would hold off on extreme layering. Thankfully, I didn’t experience smudging or flaking—some of the worst qualities of a mascara, IMO. I love the wand because it really grips the lashes well and the skinniness makes it easier to reach the lower lashes neatly. My lashes didn’t feel goopy or crunchy, and though not very dramatic, they defined my lashes really well. Though this didn’t give me “WOW!” lashes, I appreciate the subtle definition and ease of use. An extra photo for no reason—all of these, like most Korean products, come sealed! I have no information regarding 3CE’s animal testing policy. Andami ko nakikita 3ce and at first I thought it was pretty cheap but I’m warming up to them especially for being, as you pointed out, not as dainty as the bigger brands. I like their offerings, tbh but this mascara kinda falls flat for me. I still remember your red liner from them and I really liked that one!